Squeak, a childhood friend of Mark Rodio(singerboy), is a great friend of Mike Mark, the guy who runs the CocoLaPalm resort. Mike Mark has been coming to see us play in Minnesota for years. 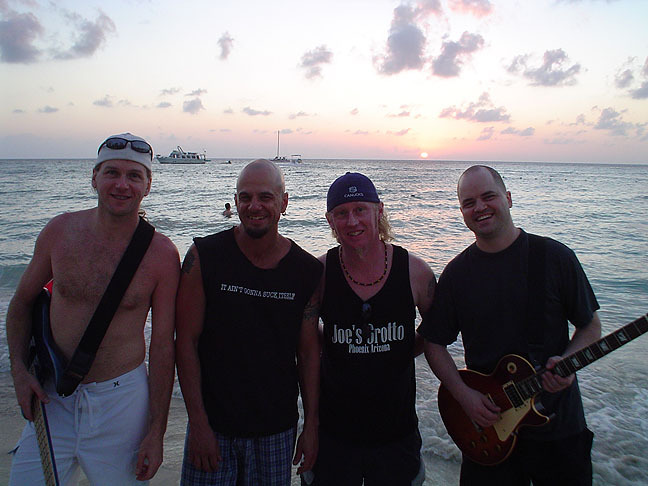 Squeak asked Mark Rodio if he hooked up some shows in Jamaica, would we go? Obviously, Mark said "yes." That's pretty much it. 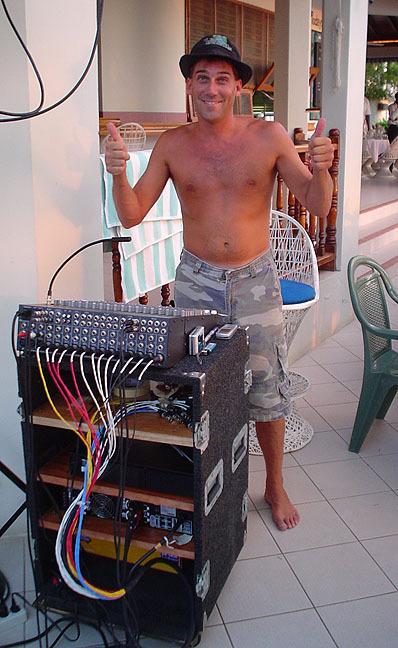 This is Mike Mark, resort manager, soundman, and all-around great guy. 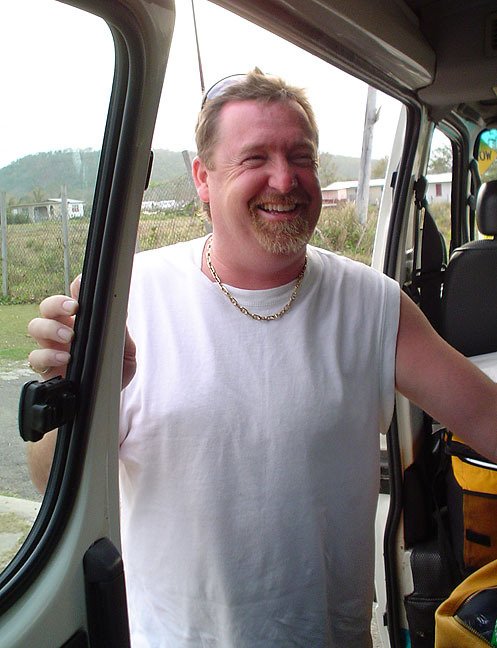 If you ever decide to go to Jamaica, email him at cocolamike@aol.com and YOU WON'T REGRET IT! 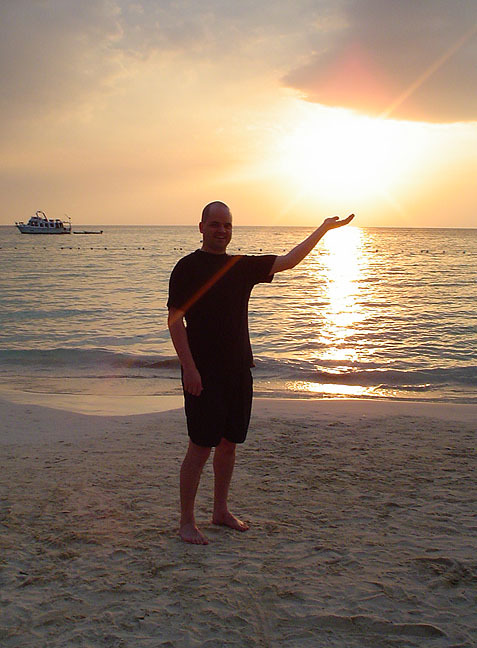 His resort is a wonderful place. It is NOT designed for the teenage spring-breakers. 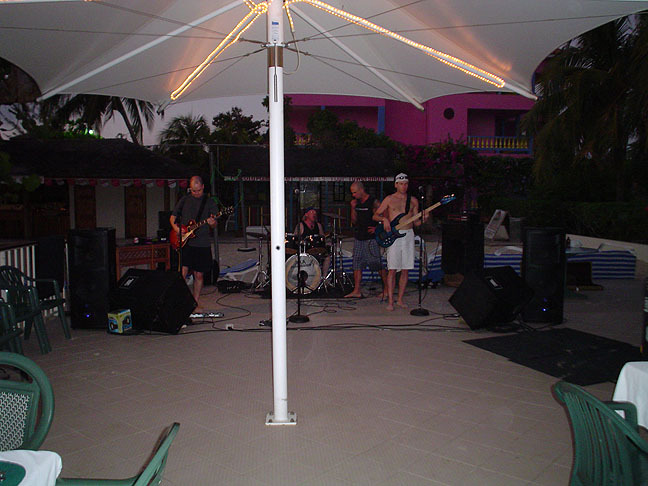 This is where we played each night. Not quite The Main Event stage, but it was still awesome! 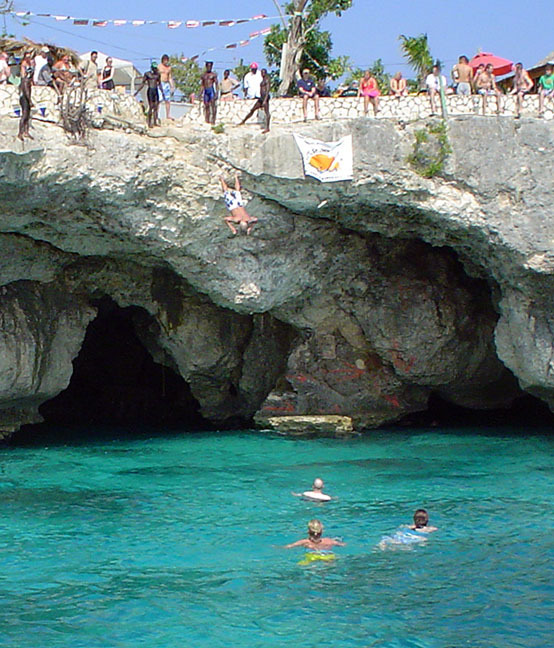 This is Mark diving off a 30 foot cliff head first, while Craig (the blinding white bald guy) waits for him down below. 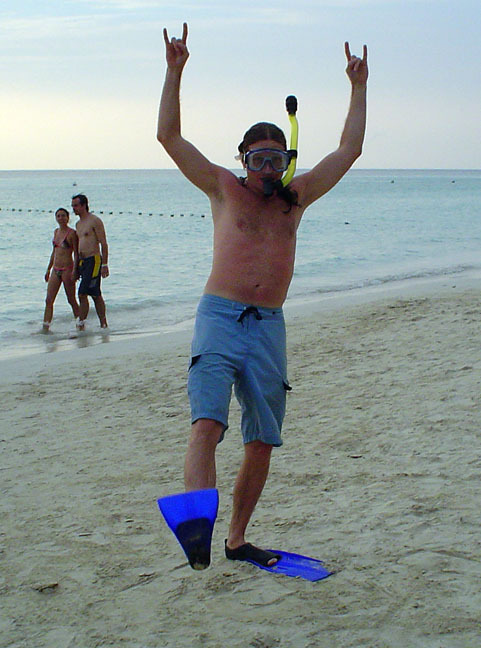 Tom was quite surprised to see Mike Berg on the beach, too! Was this an -itis reunion show?!? 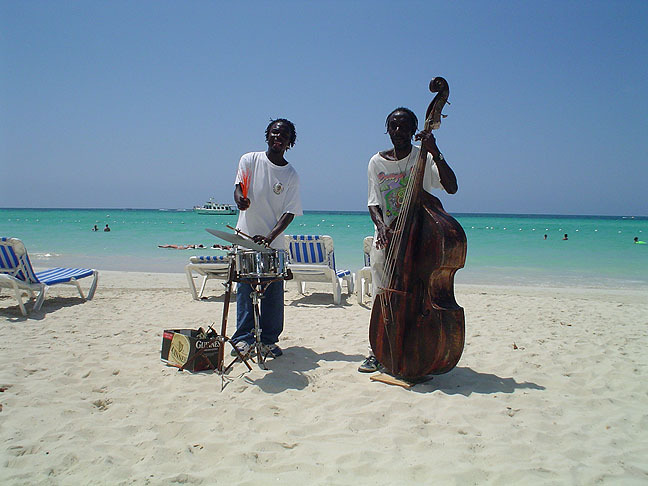 Many different Jamaican bands play music up and down the beach (for tips, of course). 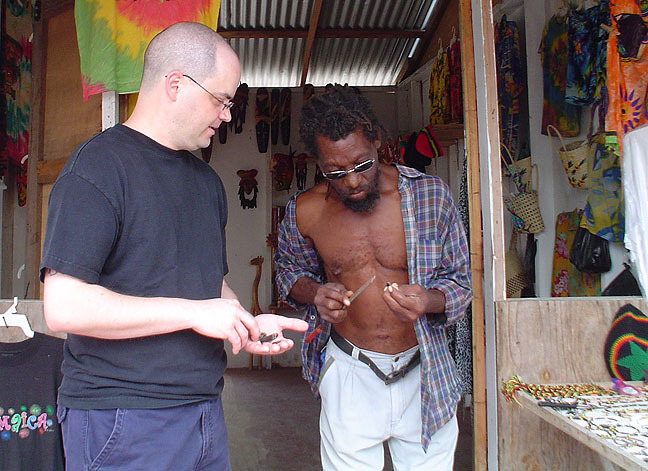 This is a Jamaican at the Native Art Center making custom picks for Craig from tortoise shell.